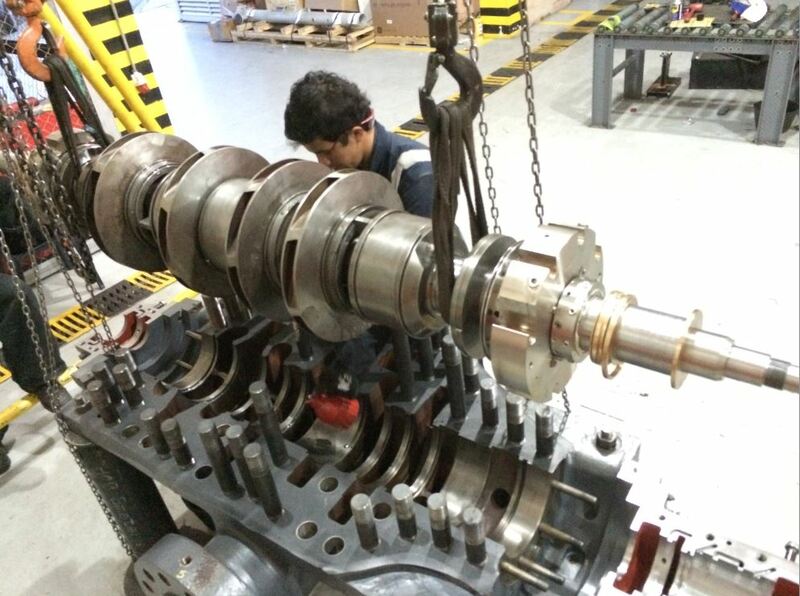 IFS supervised the complete disassembly/reassembly of the piping system pump, returning the pipeline pump to its original remanufactured condition. The Cusiana, Cupiagua and Cupiagua Sur fields are the largest oil & gas fields in Colombia, and they produce light crude, which is in large demand on the international market. Ecopetrol S.A. operates the crude oil pipeline system to transport the crude oil from the production facilities to export terminals on the Colombian coast. Montajes J.M. is a contractor in Bogota Colombia. 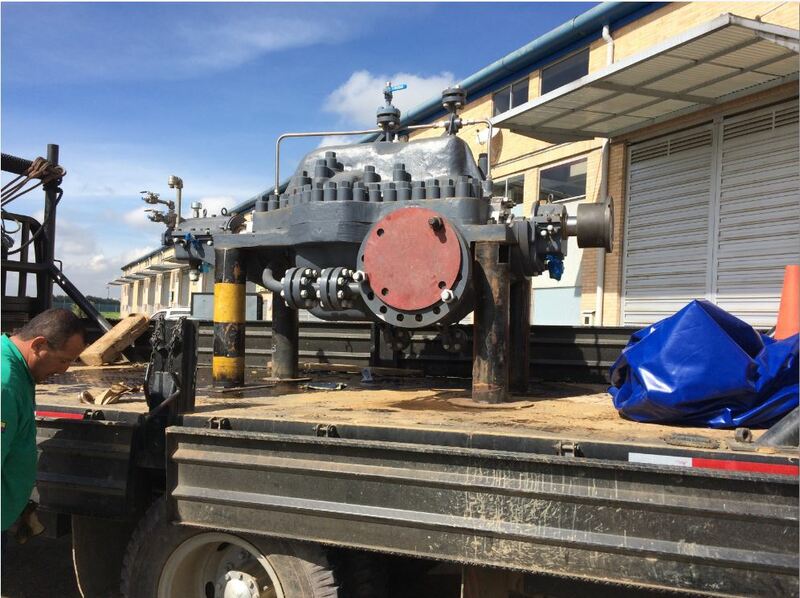 Montajes contacted IFS regarding Ecopetrol’s need for a “quick ship” 12-week delivery crude oil pipeline pump station for the Cusiana field. 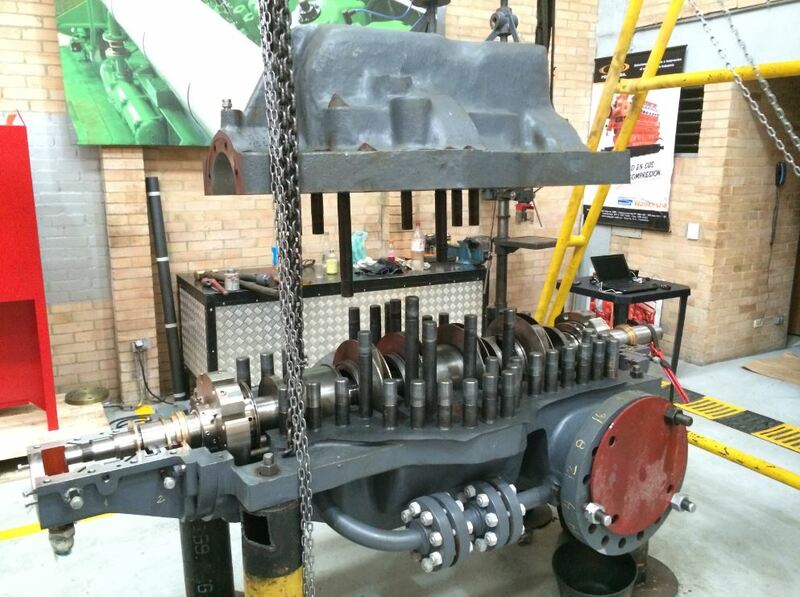 IFS supplied a remanufactured Union API 610 multistage pump (from the inventory of IFS’s sister company, Pumpworks 610), a new 4500 hp electric motor, baseplate, variable frequency drive, valves, and accessories in 12 weeks. Montajes J.M. 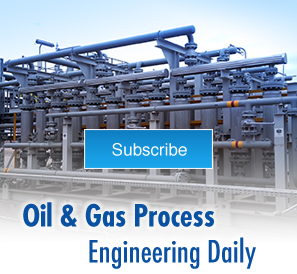 contacted IFS for commissioning the supplied equipment in October 2014. 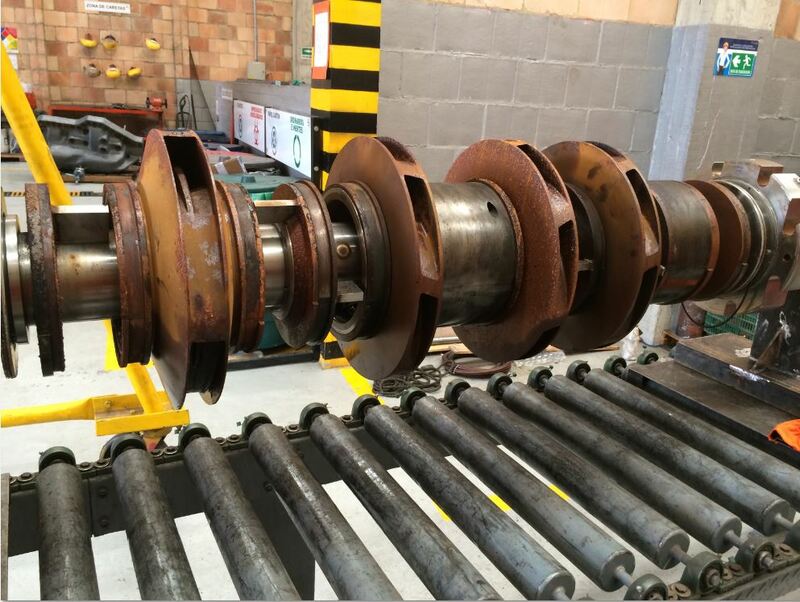 IFS performed the standard commissioning including coupling alignment, lube oil system check out, bumping the uncoupled motor for proper rotation, etc. Montajes contacted IFS in November for start up assistance. 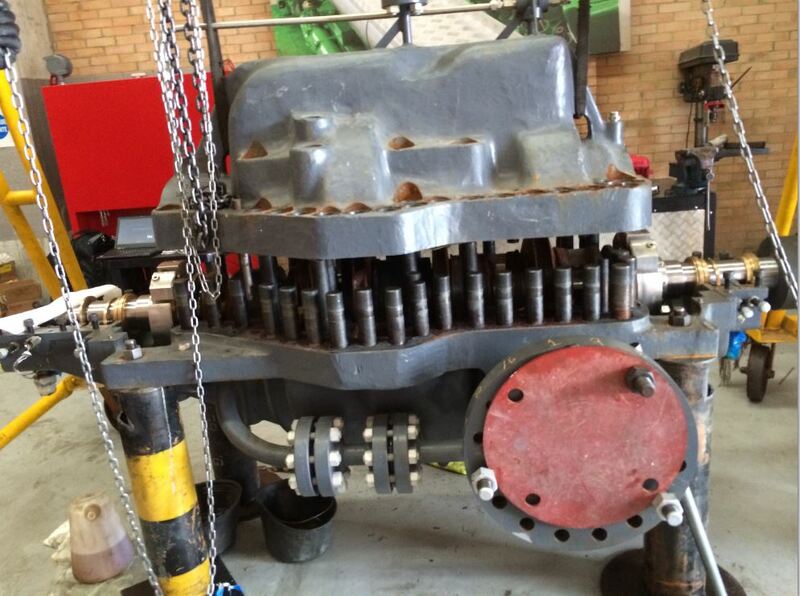 During the start up pre checks, IFS noticed the pump rotor was locked up and would not rotate. 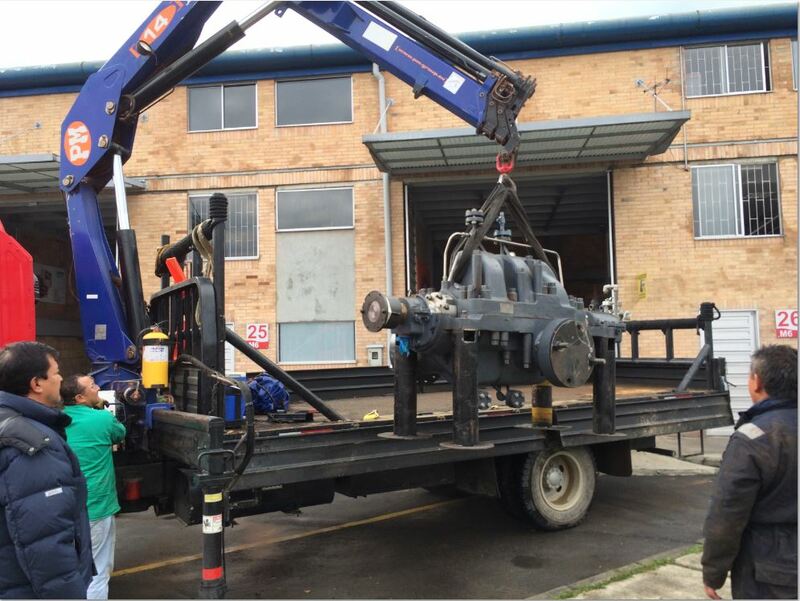 IFS removed the pump from the piping system and transported the pump to a local Colombian machine shop. Upon pump disassembly, IFS discovered that pipeline debris had been flushed through the pump during the pipeline piping hydrotest by the contractor (see above photos). 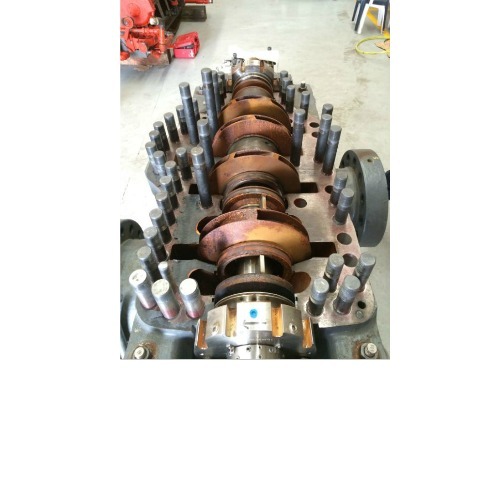 The internal machined surfaces of the pump were rusted and pipeline debris was found in the machined clearances. 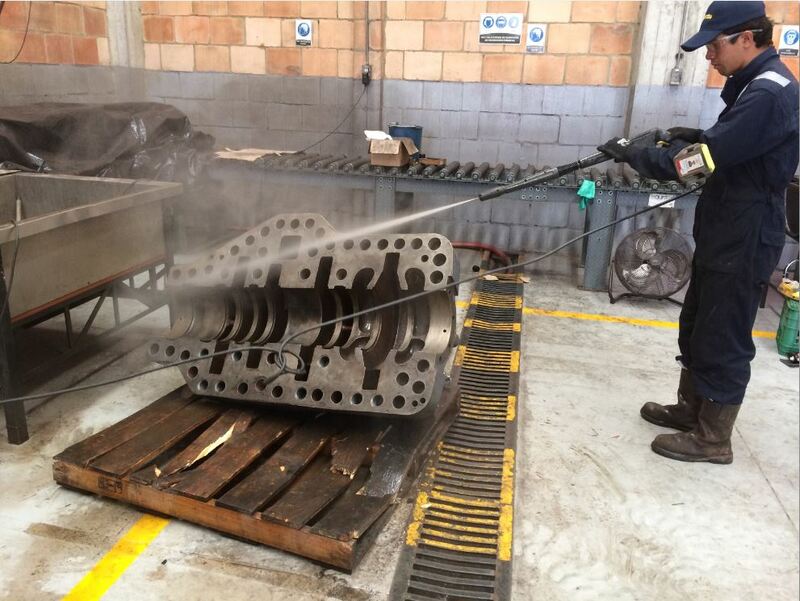 IFS supervised the complete disassembly/reassembly of the pump, returning the pump to new factory condition. IFS reinstalled the pump, performed the normal start up checks, and started the pump operation. The pump operated to the design specifications.